When creating Custom Fields, you now have the option to create a Date field. 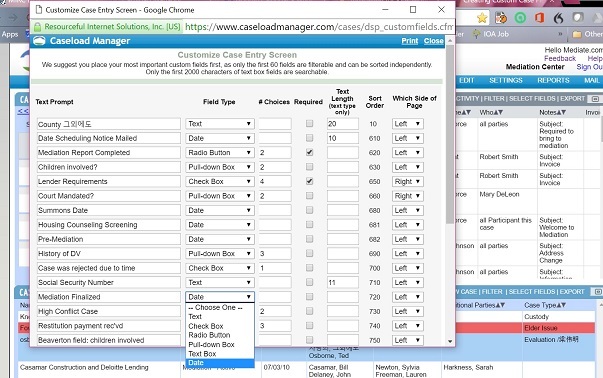 This means that you can enter text in a date format, filter by that date, and run reports on that date. To do this, click SETTINGS, Custom Date Fields, and then enter the field title (Such as Date Received). Then under the Field type, select Date. 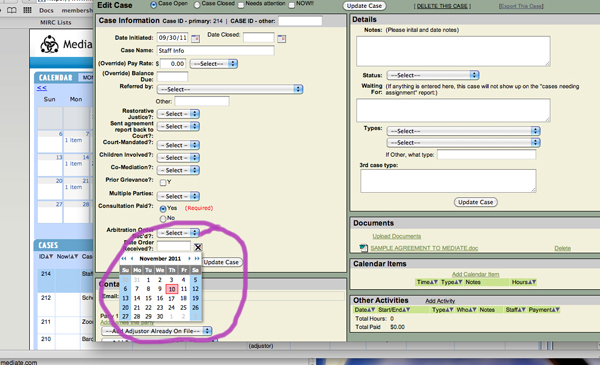 From then on, when you or your staff are in a case record, you will be able to select the date.